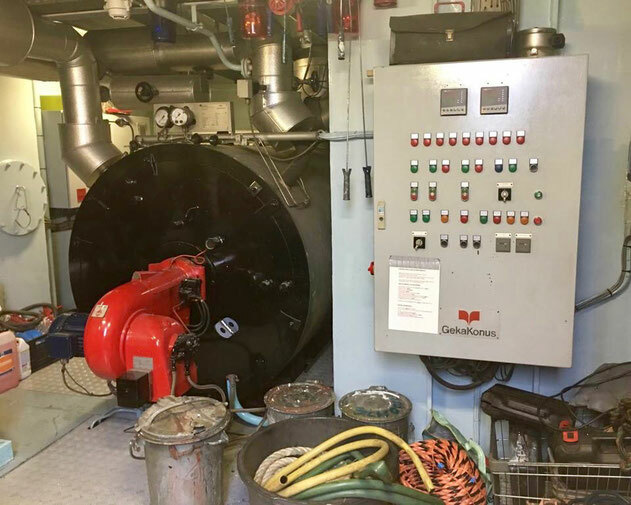 Our service engineers have tested the boiler system of an inland ship. The boiler system was made by GekaKonus. In included a switch panel, a burner motor, a cover, a pressure indicator and a differential pressure gauge. The boiler system with a burner motor, a cover and a switch box. 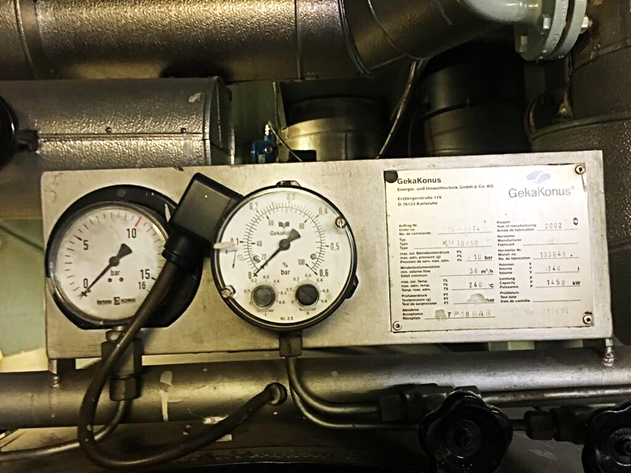 The pressure indicator and the differential pressure gauge of the boiler system.